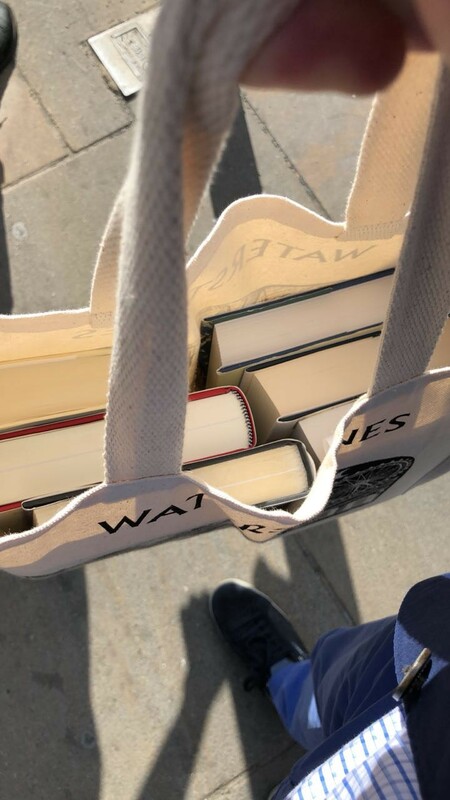 Passing through London on a trip means going through Waterstones: while most of the ethereal cryptical baggage is now carried on Kindle, seldom one would pass the luxury of flipping through the pages of a real book. There is actually one great book: The Myth of Paperless Office by a collective of PARC scientists, who’ve first predicted and then refuted the claim that the would would turn into a paperless paradise. Since the invention of Xerox copier and computers, the usage of paper actually rose more than 10x. It’s all due to several intrinsic features and properties of paper that allow the medium to survive the onslaught of digital devices. Tactile feedback allows both scribbles and tokens of exchange retain their role. Ability to fold paper, write on it, feel the feedback of where one are when reading a document is and other features allow it to permeate and persevere through the environment. When I’ve first opened it in 2011 I was interested in how one interested in designing digital services, need to first understand the context of traditional mechanisms that carry messages. Pushing a service that requires introduction, education and integration is akin to a book — a symbol carrying platform that does the same. Learning about paper based systems was one way how I progressed with my (never ending) education about human interaction systems. 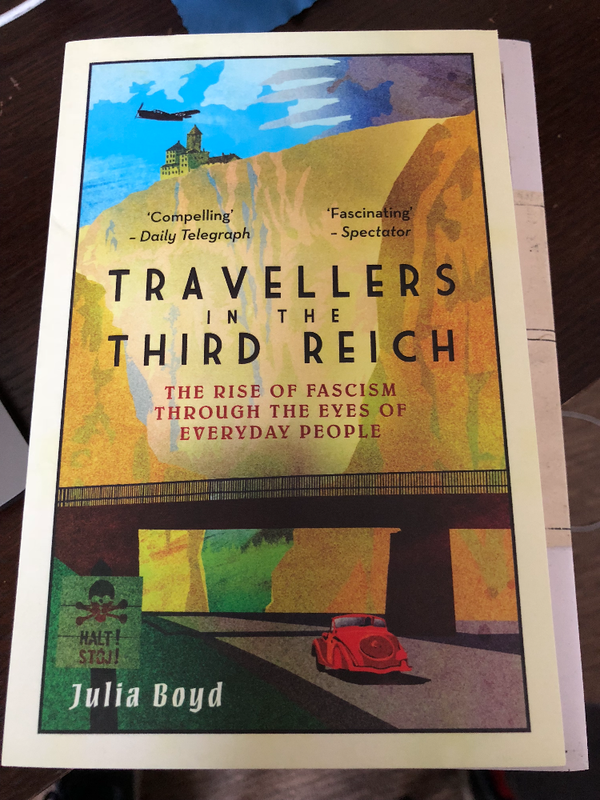 Majored in history, not learning about Vergangenheitsbewältigung — the coming to terms of the German generation born and raised during the Nazi rule and having to come to terms with the uncovered horrendous acts of their country and people entranced by Hitler. I am still in the middle of the great KL by Nikolaus Wachsmann and have read a number of good articles about the “coming to terms” in New Yorker and Financial Times. 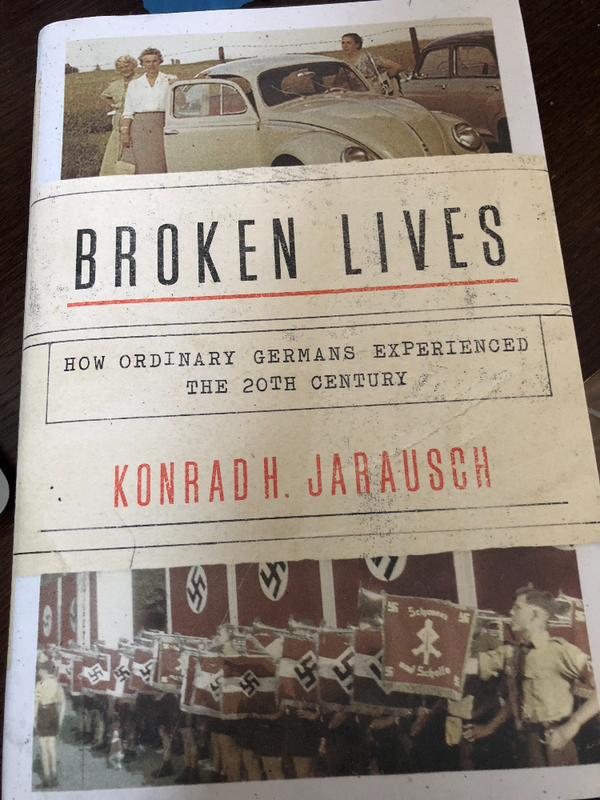 Being a self-taught disciple of Braudel and Bloch School of Annals, learning about the grand concept through the eyes of everyday life gives a vivid portrayal of the act, so the books I chose are Broken Lives: How Ordinary Germans Experienced the 20th Centuryby Konrad Jarausch and Travellers in the Third Reich: The Rise of Fascism Though the Eyes of Everyday People by Julia Boyd. 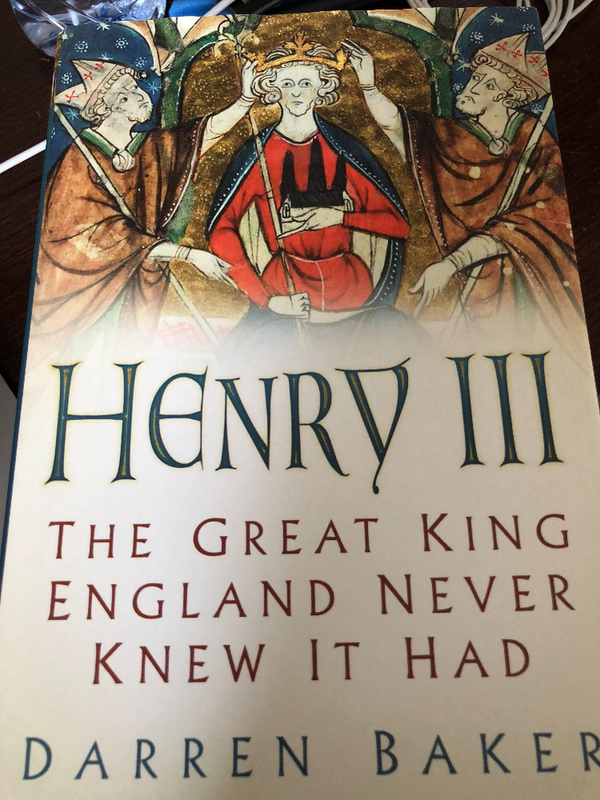 Learning about how social behaviour condones the new normal, lowering stress by allowing to accept new behaviour once considered despicable has been proven though both history and countless experiments (best known, the Prison Experiement ending in disaster). I’ve also been thinking a lot about the richness of material on everyday lives in Europe, going back to, probably, Reformation times and it has largely to do with how people started doing personal notes: a road for self-improvement and so journals — as a silent prayer — became common, adding to the pool one could delve in to paint the everyday life of a society. Courants and newspapers then added a new perspective, pushed also by the need to keep a watchful eye on a neighbour: people being able to live together required a new safety mechanism to be developed: snooping and eavesdropping — with penny mail and rumour infused press contributing to another lense with which anyone could watch it. 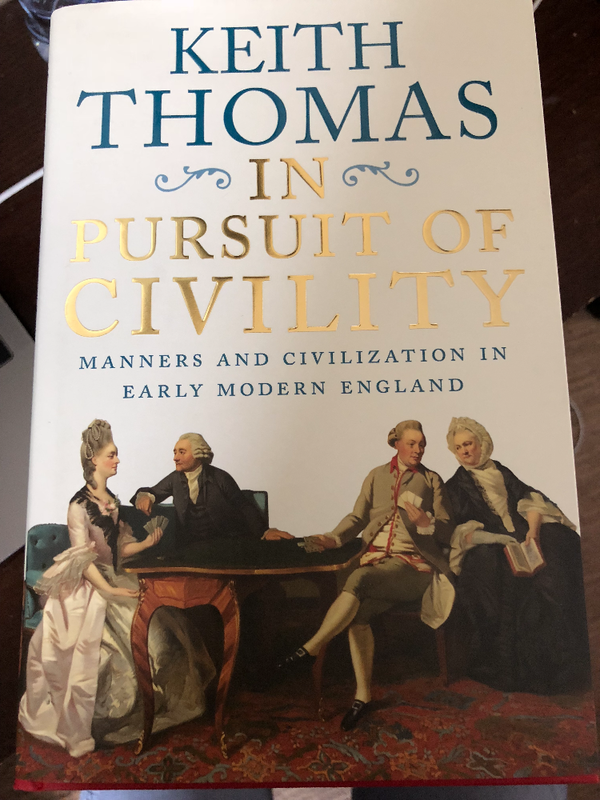 In Pursuit of Civility: Manners and Civilisation in the Early Modern Englandby Keith Thomas is an interesting one. 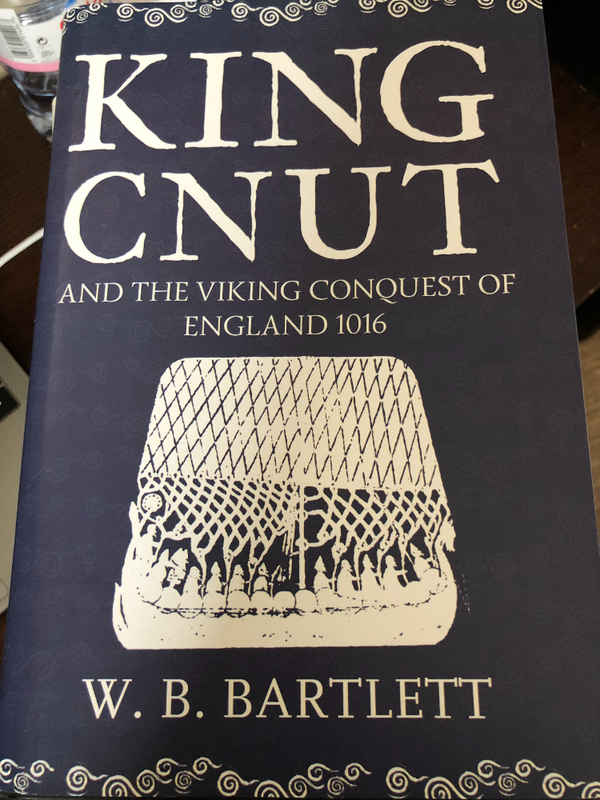 Shall we go deeper, a recommended read is about a much darker and bloodier times than the Norman Invasion of the 1066 is the 1016 wars of King Cnut written in a book by the same name: King Cnut and the Viking Conquest of the 1016, where a mystery of a lengthy reign of Henry the III (the one after king John of the Magna Carta times) — the mystery being that seldom would remember him despite the nobility and stable rule he reigned over — is written about in Henry Henry III: The Great King England Never Knew It Had by Darren Baker. Hopefully these all will be swept away by the cavernous mind in little time.